Contact us to schedule a demonstration at your airport! 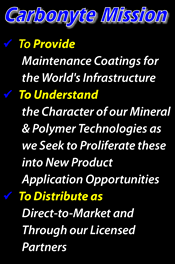 Carbonyte is dedicated to providing to the market, coatings that are single package which do not need any additional products to meet its intended use. 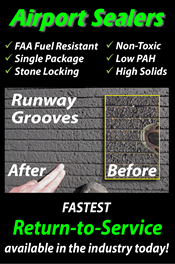 Looking for an Asphalt Sealer which is not only good on the environment and those applying it, but also has the Fuel Resistant and other High Value Properties you want in a Sealer! Look Here and you will find what you're looking for!